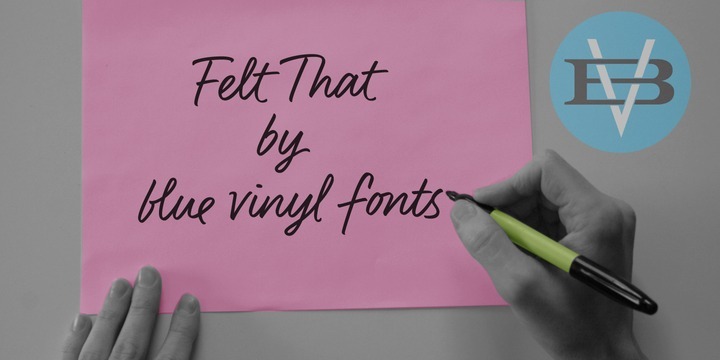 Felt That is a contemporary typeface created by Jess Latham and published by Blue Vinyl Fonts which the author designed an handwritten font with a bullet tipped marker. For realistic look this calligraphic font has starts & endings. You need to use a program that has opentype capabilities, for better use and to exploit the maximum font. A font description published on Wednesday, June 10th, 2015 in Blue Vinyl Fonts, Fonts, Jess Latham by Alexandra that has 4,689 views.